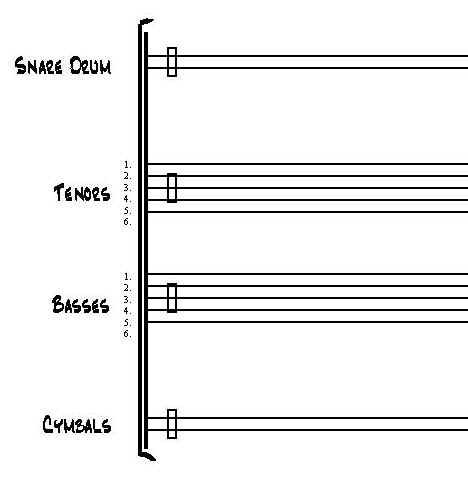 Over the years, notating (scoring) for Drum Corps style organizations has really expanded! 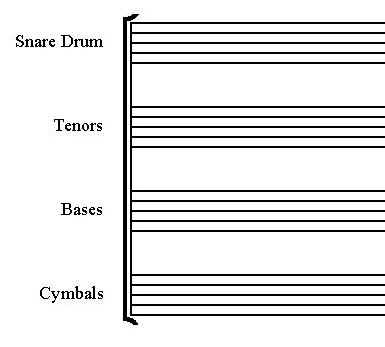 The following template depicts a good way to map out a basic arrangement. (Two other styles are shown below and all are included in the download). The 9 notation styles shown here have been innovated by authors/teachers over the past several decades. When using specialized stationery, it often helps students to learn easier. Extra lines can be distracting...small note heads may not be large enough or clear enough to help the student.